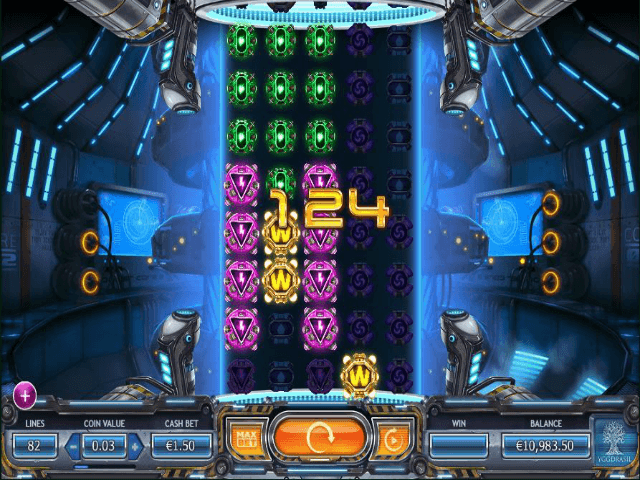 If you’ve ever wondered what it would be like to play slots inside Doctor Who’s TARDIS then Yggdrasil’s futuristic Power Plant offering could well be the game for you. Along with stacked wilds and feature re-spins, this industrial sci-fi slot game boasts the chance to play an incredible 82 paylines. All together now... Allons-y! It’s a testament to Yggdrasil’s creativity that it can take a relatively modest setting (a futuristic energy creation laboratory in this case) and turn it into a gaming platform that’s great to look at and entertaining to play. The reels, which spin inside a mysterious blue energy field generated within a futuristic chamber decked out with NASA-style monitors and hi-tech controls, are almost hypnotic. 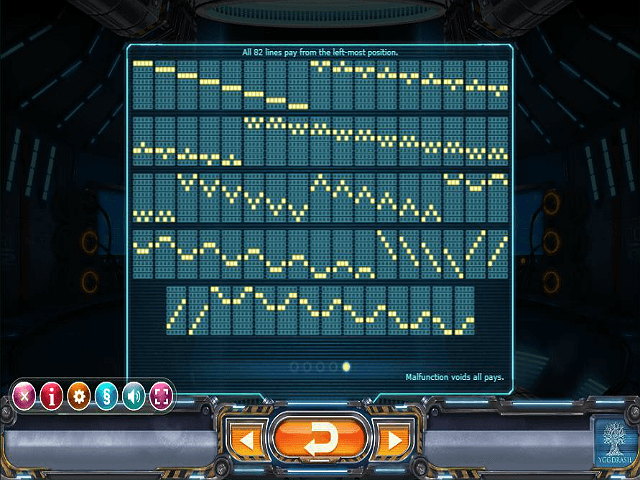 Little tractor-beam like rays pop up and connect winning combinations too, which is pretty cool. The poppy music is perhaps a little out of kilter with the visuals but not enough to spoil things. 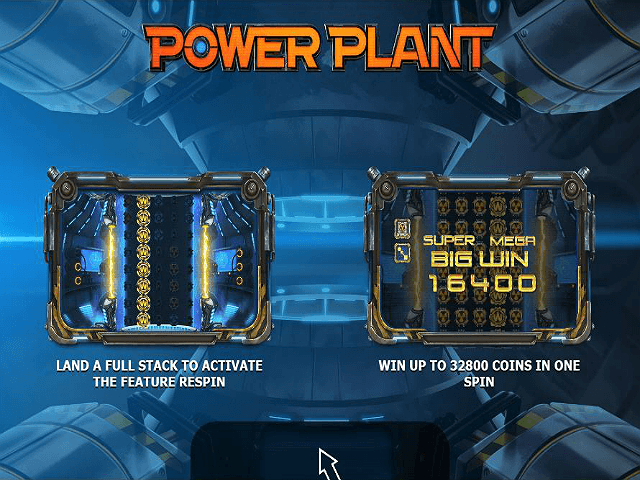 The most futuristically innovative aspect about the Power Plant online slot is not its graphics but its gameplay. Why? Well, because this advanced little beauty can be transformed from a five-reel, four-row game into a unique five-reel, eight-row slot at the push of a button. That’s right; hit the Golden Bet button and you’ll immediately increase the number of rows from four to eight, affording you those whopping 82 paylines we mentioned earlier. The jackpot stands at a nice 200x. You can play for as little as 25p per spin, while £250 is your max. The all-important variance lies in the low-to-medium range with an RTP of 96.10%. Active Wild – one of the (standard) symbols is chosen to be an extra wild. Nudge Reels – up to four nudges can be used to provide the best win after the spin. Super Stack – one of the (standard) symbols is selected to be an extra long stack. Swapping Symbols – between three and five matching symbols are added for a guaranteed win once the spin has ended. Extra Feature – surprise, surprise; adds an extra feature (although four is the max allowed). 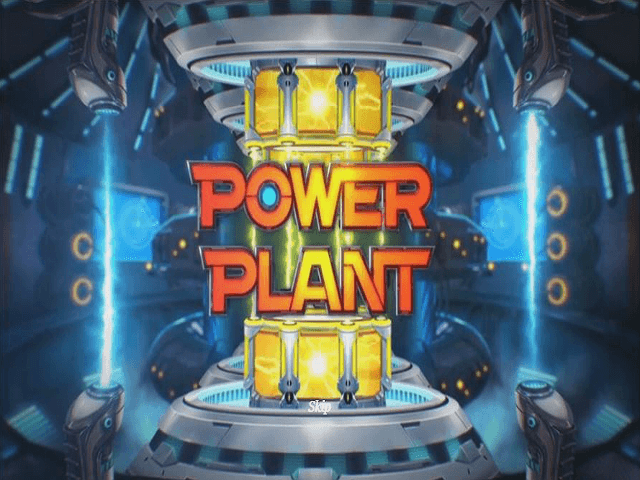 Whilst it may appear convoluted initially, Power Plant is actually a very easy and enjoyable game to play. The aesthetically pleasing visuals and enticing 96.10% RTP are the icing on the cake. Kudos, Yggdrasil. Or should that be Davros..? 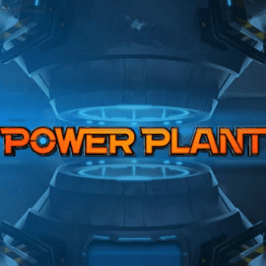 If you like Power Plant - You'll like these slots too!